And this, my friends, is how it’s done. This is how Progressives/Liberals have changed America right in front of our faces – right before our very eyes. Recently, EdWeek ran this article, “National Service Can ignite School Turnaround Efforts”. “Oh, this sounds great!” you think as you begin to read. After all, what in the world could possibly be bad about “turning around” schools? We all know they are in horrible shape! Yes, yes, sending workers from the community out into the community to help kids stay in school! This is awesome! Unfortunately (or fortunately – I guess it depends upon where you sit on the ideological fence) I tend to see this kind of thing coming immediately. After becoming acquainted with the idea of Community Organizing and Saul Alinsky some years ago, I have an extreme alert hit my heads up display when I hear something – anything – that has the word/s National and/or Service in the title. It seems particularly well-timed, in fact, that yesterday my friend Kaye Beach posted this on my Facebook page – “The Turning of the Tides” by Paul W. Shafer and John Snow – written in 1953. This document lays out how the Intercollegiate Socialist Society and the League for Industrial Democracy (still going strong TODAY by the way) along with UNESCO and John Dewey, took over the public schools. It literally made me sick to my stomach to scan the document, however, once I had been turned on to that one, I quickly found, “Vital Speeches of the Day – Education for the New Social Order”. Interestingly enough, this speech (printed February 26, 1948) had a subtitle called, “Tragic Results Now Apparent”. This speech absolutely puts the nail in the coffin of our thesis four years ago as we began ROPE, that our public schools have completely brainwashed kids in US History so that they have no real knowledge of civics, our Republic and/or the Constitution. The speaker, Augustus G. Rudd, Chairman of the Guardians of American Foundation and delivered before the National Society of New England Women in New York, clearly lays out the mechanism by which American young people were so brainwashed. It began in college with the inception of liberal professors from Columbia University (instructed by John Dewey) and filtered down into secondary schools through TEXTBOOKS. Goodness! There is absolutely NOTHING more descriptive than that particular paragraph as far as I’m concerned. This point is driven home further when one remembers that our own State Superintendent, Janet Barresi, has hired a former OEA/NEA president and lobbyist to work for her in the Oliver Hodge Building and has singlehandedly brought about more state and federal control over Oklahoma’s public education than her predecessor Sandy Garret did in 20! And so, with these little pearls of wisdom tucked carefully into our hat bands, let us review the article concerning how ‘National Service’ organizations can ‘fix’ public schools. So, what is “National Service”? Well, we’re told about the disparity in education between the rich and the poor right away, so it takes a bit of time to get to the meat of “National Service”, but apparently, the writer believes, it happens through community organizations such as “Citizen Schools”, “College Summit” and “Diplomas Now”. Again, that sounds so awesome! And cheap too! What are we thinking NOT to attempt this in OUR state/community? Yes, they may be uniquely positioned…TO INDOCTRINATE THESE YOUNG PEOPLE ON AN IDEOLOGY COMPLETELY OFFENSIVE TO CONSERVATIVES. Fortunately, the writer is honest. I did a bit of a search on these “idealistic”, “National Service” organizations. “In 1993, President Bill Clinton signed the National and Community Service Trust Act, which established the Corporation for National and Community Service and brought the full range of domestic community service programs under the umbrella of one central organization. It is funded by taxpayers (so, as usual, the government can turn on those of us that want it ONLY in its Constitutional role! ), but there is much room for people who would like to donate – such as the venerable George Soros! I thought I might go on, but this article really hits the nail on the head of what a despicable organization really is AmeriCorp. What about Citizen Schools? Well, I’ll just go ahead and give you the “about” page from their website. I think the number of organizations with which Eric Schwarz (the Co-Founder) has been involved will make it easy for you to make up your mind about his ideological bend. What about College Summit? Well, just troll around this website for a bit. Look under leadership and staff. Note that Barack Obama has donated a large chunk of his Nobel Peace Prize (snicker) to this organization. Note that Bill and Melinda gates are prominent supporters. Note that College Summit has applied for and received a Race To The Top grant for districts. Lots and LOTS of federal involvement here! “national campaign to put all students on the path to high school graduation”. Certainly a lofty cause and the one thing going for them is that they appear to be solidly non-profit – taking no taxpayer money. 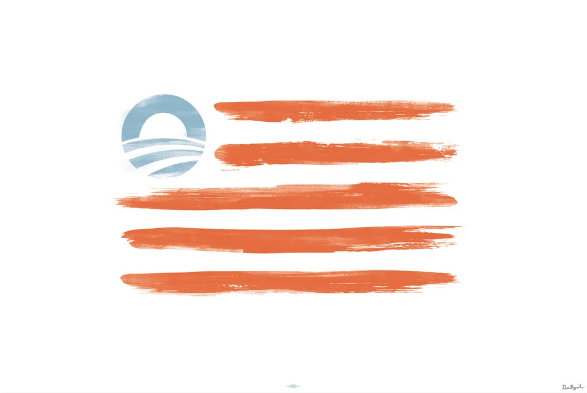 Apparently, Diplomas Now is funded by the corporation so fully in the pocket of Barrack Obama that they changed their logo to match his during the last election cycle. Give up on who that could be? And so my friends, there you have it. Now – especially if you’ve never heard ANYTHING reported in this little expose – go to the mirror, point your finger at yourself and realize that you are the reason we stand a chance of losing a limited government Republic genetic only to this particular chunk of soil, to a man/party who would create his/their own flag they detest America so. If I’ve told you once, I’ve told you a THOUSAND times – RESEARCH EVERYTHING! Our fathers, mothers and grandparents quite apparently trusted the idea that schools were a bastion of all that was good in America to our very sincere detriment. It must have been swimming upstream for these writers in the late 40’s and early 50’s to come out with their research. I can just imagine the finger wagging, scoffing and cocked heads they met. Sad that today they are fully vilified. Today, we see the fruits of their research. If Americans can ignore what stares them right in the face – the metered, specific, planned destruction of their country through its educational system – then, unfortunately for me and those of us that are fully awake and believers, we’ll get the fascist we deserve come November, 2012 and really see for what they have planned so long and so well. 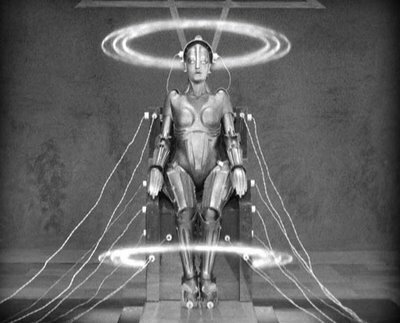 PS: The picture I have used to depict the “ghost in the machine” is from the movie Metropolis. I had heard of the movie, but never read anything about it. I pulled up Wikipedia for the movie and found that, interestingly, the plot of the movie isn’t too very far from the plot actually pulled off in American public education.